Protect your horse from summer's worst insects. 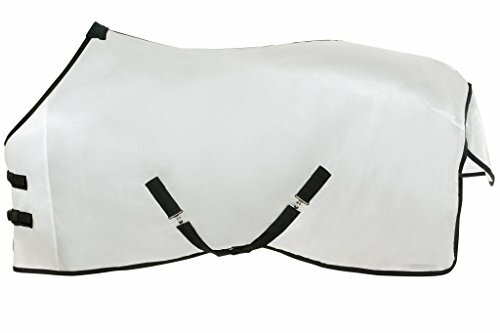 This fly sheet offers good protection from both UV rays and insects. UV protection and cool mesh fabric make this sheet ideal for hot summer days of peaceful grazing. The front double buckle closures, belly surcingles, tail flap and leg straps keep this sheet securely in place.